Black Panther is the latest spectacle in the Marvel Cinematic Universe and has been getting rave reviews from everyone who’s seen it. I’ve seen the film twice so far, of course on the first two days of the film’s opening on Feb 16th in India. I loved it! It’s not an extraordinary masterpiece like some are calling it — rather, it was a very refreshing change from the typical Marvel affair for me. The film has flaws, but if we’re to look at it as a film, I loved it. Don’t worry, this isn’t another review that’s going on to praise the culture, the colors, the costume, or the VFX of the film. Instead, I’m going to be talking about the Title Sequence of Black Panther. If you’ve seen the film, the Title Sequence is what we get to see towards the end of the film, right before the credits start rolling. This Title Sequence is, to me, the best part of the entire film. Black Panther’s Title Sequence was surreal, and a visual masterpiece. The whole thing was crafted with incredible motion graphics and transitions and set to an amazing track by Kendrick Lamar & SZA. It’s a fascinating display of bright and bold colors, energetic camera work and transitions, smooth motions and everything comes together to take you through a summary of what happens in the film. A major reason why I even went in to watch a second screening of the film with my wife was so that I could sit through the Title Sequence yet again in all its glory. It was simply outstanding! This Main On End Title Sequence of Black Panther was crafted and brought to life by a small team of incredibly talented people at an NYC-based studio called Perception. Founded in 2001, Perception has worked on and contributed their remarkable work towards several films, not just in Title Sequences, but also in User Interfaces, Experience Design, and other material. Many, if not all of the fascinating displays and user interfaces seen in Shuri’s laboratory in the film are crafted by Perception. At the center of Black Panther’s story is Vibranium — a Wakandan metal that practically powers all the technological advancements in the country. Perception decided to base the Main on End Title Sequence on Vibranium — rather, vibranium shavings. The idea was to have small shavings of vibranium— like dust or sand that would morph or reassemble into various three-dimensional shapes and forms, all by being actuated by sound waves. The vibranium sand has a great physical quality to it, which works really well with the blend of technology and spirituality seen in Wakanda. We also considered the sense of touch that we’ve lost with touchscreens or holograms to be a holy grail for interaction. 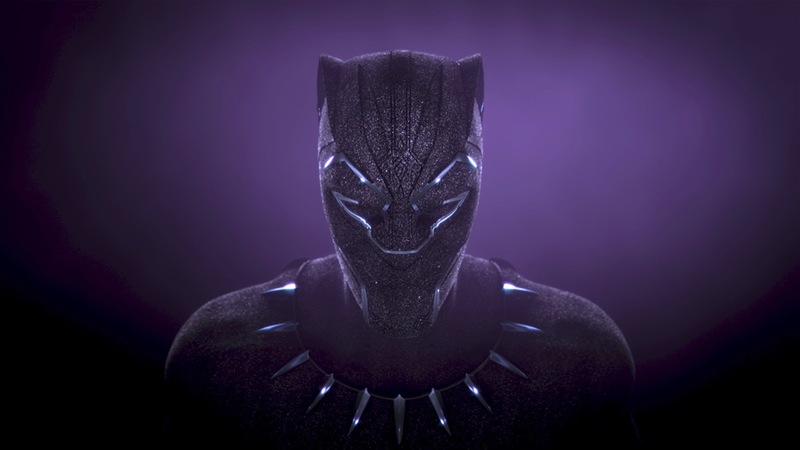 This form of Vibranium appears in several scenes in the film, and most notably, is also used for the opening prologue that tells the story of Wakanda and its history. Perception worked on the pre-vis for the opening prologue too, while the final animation was done by Storm VFX. I am absolutely in awe by the work done by Perception, so it didn’t come as a surprise that the studio has also done the title sequences for two other Marvel films — Thor: Ragnarok and Spider-man: Homecoming. Perception also has films like Batman v Superman: Dawn of Justice, Captain America: Civil War, Captain America: The Winter Soldier, Iron Man 2 and The Avengers to their credit.